No matter how deep our faith nor how certain our confidence in heaven, the loss of a dearly loved individual is always a painful and sad time. This is even more so when the death is sudden or when the person is young. Perhaps when a parent must say goodbye to a child, even though they have grown to adulthood, that sadness and pain is even greater still. For that reason our hearts went out to the Snavely family last year as they said goodbye to their son Brandon. While I do know how it feels to lose someone very close and dear, I still could not fully know all they were going through, all I could do was send my condolences and lift them up in prayer. There is one special way anyone suffering loss can find solace and some degree of comfort and that is through building a living memorial to that person. Those of us who share in their sorry and grieving can help them in recovery by our generous contributions towards making that happen. The Snavely family has chosen to do just that in expanding and improving the playground at Villa Peniel Christian Service Camp. I had Brandon in VBS when he was a child and he was deeply saddened when he heard that Jeanie’s cancer had returned. So it seemed fitting to build a living memorial to Brandon in building opportunities for young people, especially the children in Colombia. We are deeply humbled and at the same time honored that the Snavely family would choose Colombia for Brandon’s living memorial. As we grieve with them we have also continued to lift them up in prayer. Now we have another way to encourage them as they continue to move towards recovery from this terrible loss. Join with us in so honoring Brandon and in standing with the Snavely family in their sad time of separation. 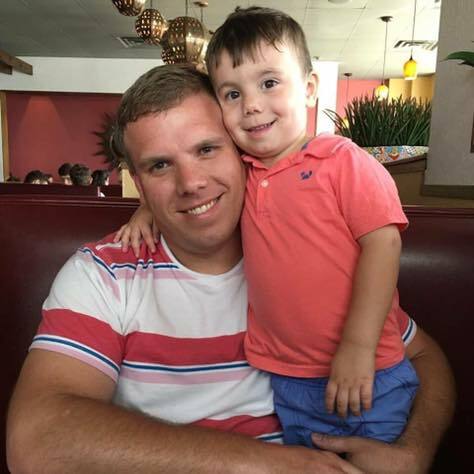 Ed and I would like for some friends to join us in remembering our son, Brandon, by donating to a fund that will help to fund the playground for a Christian Camp in Colombia. The camp is one ministry of the Colombian Christian Mission that was begun by Dale and Jeanie Meade. We want to honor Brandon by supporting this camp because Brandon very much enjoyed the times that Dale would come to church to tell us about his work in Colombia. Brandon also loved going to church camp. It was a highlight of his summer. So we know that helping other children to enjoy camp and learn about the Lord Jesus would really be an honor to Brandon. Brandon was kind and tender hearted. He enjoyed helping people. We have been told of many ways that he helped friends and neighbors. Here are just a few examples. When he lived in Ohio, he loved to use his all-terrain-vehicle (aka 4 wheeler) to clear snow from the driveways of many. He would just go do it — they didn’t need to ask. When he had some neighbors that were in the military, he went and mowed the yard for this family every week while the dad was deployed. They hadn’t asked, he just went every week and did it. They appreciated it so much. He was a great worker. He always enjoyed helping his dad with all kinds of work on the farm. And we were told that he was highly respected for his work and good attitude at the place he worked in his adult years. One of his friends that worked with him at his job and was also a friend away from work said that Brandon was “a drop everything on a dime to help you kind of friend “. 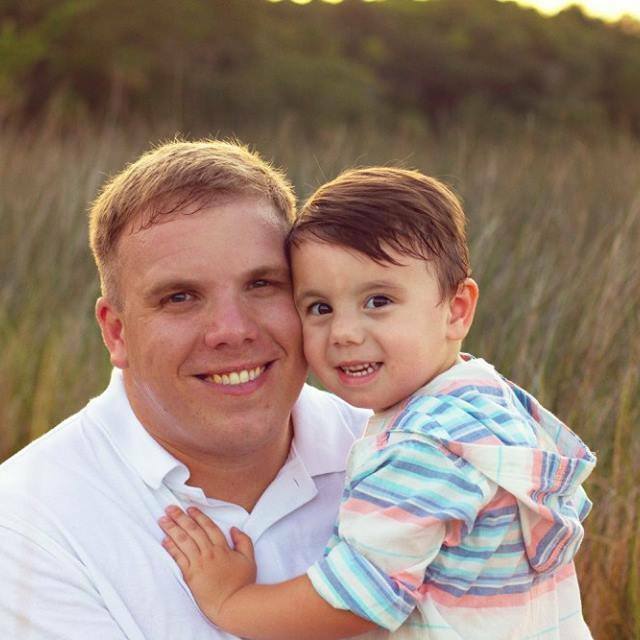 Brandon became a dad to his son, Gracen, in December of 2012. He loved Gracen with all of his heart and was a wonderful dad. God gave Brandon a gift for scroll saw woodworking. He became fascinated with scroll saw woodworking by watching his 4-H advisor, Steve Bechtel, as he would cut things out on a scroll saw. Steve mentored him in it, and he picked it up quickly. 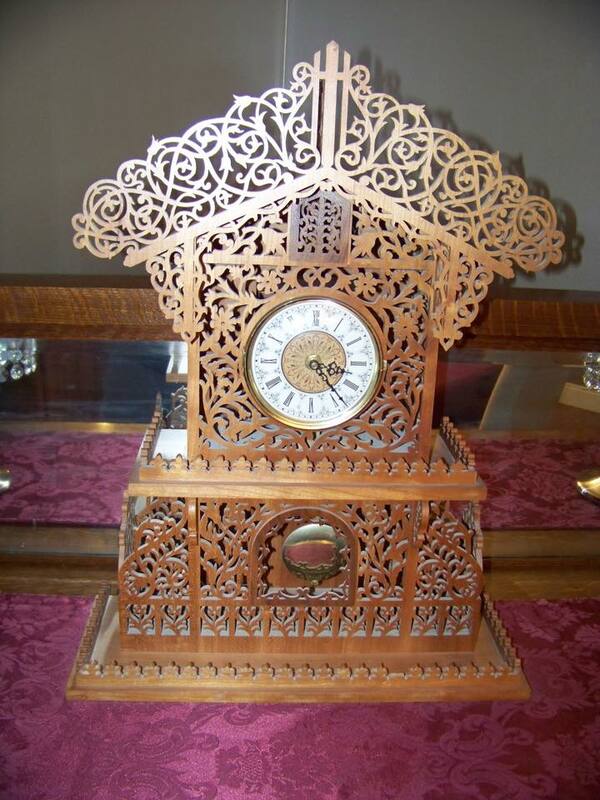 Brandon made 3 beautiful clocks his last 3 years of 4-H. He got to take one of them to the Ohio State Fair. It was a marvel to anyone who would watch him cut out the most intricate patterns with his scroll saw. And he used great patience and care in each item that he crafted. This is just a tiny bit about our son Brandon. We are migrating our website to a new software platform. Things may be a bit messy for a while. Thank you for your patience.